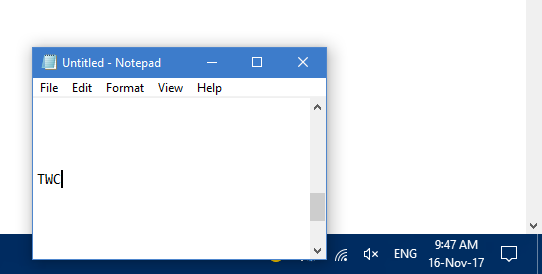 After recent update I find that my Windows 10 Taskbar is not Always on Top. If I open a desktop application, the Taskbar hides behind it. How do I make the Taskbar remain always on top? Where is the setting? I remember seeing it sometime. The taskbar option "Always on top" and the option to disable it, that was in Windows Vista, was removed from Windows 7 onwards and has not been restored in Windows 10. Open Windows Settings > Personalization > Taskbar settings. Unlock the taskbar and then Lock the Taskbar and see. See if the issue occurs in Clean Boot State. If it does not, then check your startup programs. Disable them one by one and see if any of them are affecting this behavior. With which update you are facing this issue? As said in previous reply have you tried to unlock & Lock or try to move the taskbar and see if the issue goes. Are you having any program like ObjectDock, Docky installed? Can you try & create one more user & see if it happens in that account? Actually along with the recent update I also installed Dimscreen dimmer software. After booting in clean boot I found that this problem was not there, so I disabled my startups and found that Dimscreen was the culprit.